Nettle Malfatti - A delicious way to enjoy tender spring nettles! The word means “badly made,” and though malfatti are used for an odd dish or two in Italy, our wine-country malfatti are unique. Local legend says that the dish was invented during the Depression by an elderly local Italian-American woman faced with feeding a football team and having no pasta on hand. This traditional and economical mixture is composed of old bread, eggs, cheese and Swiss chard or spinach. Our use of wild nettles would probably have made this frugal woman happy. The blue-green color and richer flavor of the nettles really enhance these malfatti. A few cooks add ricotta, but we’re sticking with the old way. This wonderful dish survives in just a couple of little delis in Napa. This pleasure deserves preservation. Make the malfatti a day or two ahead for the best texture, then roll the malfatti mixture into the traditional tiny link shapes. Bring a large pot of salted water to a boil. Wearing gloves or using tongs, plunge the nettles into the water and cook for 3 minutes, pushing the nettles down as needed. Drain the nettles through a colander, then spread them out on a rack placed inside a baking sheet to cool to room temperature. Squeeze out any excess moisture, then chop them coarsely. Heat the oil in a large sauté pan over medium heat. When the oil is hot, add the onion and garlic, stirring to coat with the oil. Cook, stirring occasionally, until tender, 6 to 7 minutes. Add the nettles, parsley, 1/2 teaspoon of the salt and 1/8 teaspoon of the pepper and stir together. Cook for 3 to 4 minutes, then cover the pan and turn off the heat. Let sit for 5 minutes. Uncover and cool to room temperature. it. Add the Parmesan and bread crumbs and work them in evenly, using a wooden spoon or your hands. Cover and refrigerate overnight or up to 2 days. Cook until foaming and starting to turn golden brown, 5 to 6 minutes. You will see little bits of golden brown milk so lids in the bottom of the pan, and the foam will begin to turn golden brown. Remove from the heat before the color gets too dark, because the butter continues to cook for a few minutes off the heat. Hold in a warm place while the malfatti cook. Bring a large pot of salted water to a boil over high heat. Drop in enough malfatti to fit comfortably in the pot without touching. When the water comes back to a boil, turn down the heat slightly, cook the malfatti until they bob to the surface, then cook for 3 to 4 more minutes. Lift the malfatti out of the water with a flat strainer, give them a gentle shake, then place them on a baking sheet and hold them in a warm place while you cook the rest. Bring the water back to a boil before adding the next batch. To serve, reheat the butter over low heat. Stir in the lemon juice and the remaining 1/2 teaspoon salt. Add the warm malfatti to the pan in a single layer and roll them around to coat with the butter. Sprinkle with the lemon zest and the remaining Parmesan. Serve immediately. Makes 5 dozen. The nettles lose their sting after cooking, so handle them with gloves before they are blanched. After that, they can be touched safely. If you don’t have a large enough sauté pan to hold all the malfatti in a single layer, divide the butter between two pans to heat them all at the same time. 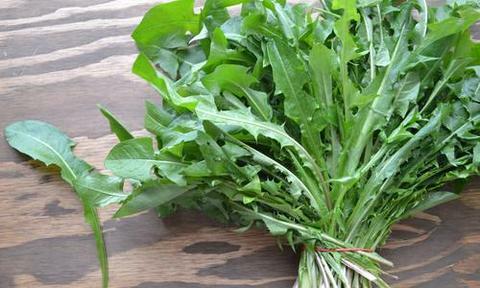 Swiss chard or spinach leaves or a combination can be substituted for the nettles. Harvesting nettles is a delicate spring dance requiring long gloves and, ideally, your thickest pants. At the base of these angled needles is a sac of formic acid, which is quickly injected into the clumsy harvester. The burning from the acid can last from thirty minutes to a more dastardly twelve hours. Cleaning and Preparation: Wear gloves at all times when handling stinging nettles. Rinse the nettles, although tidy harvesting into a clean container can making washing a nonissue.The tiny flowers likely to be on the plant belong there and are excellent cooked with the leaves. Never eat nettles raw. Cook them very quickly with just the water clinging to the rinsed leaves- as you would for spinach or swiss chard- to hold their color, flavor and, nutritional content. Ideal Stinging Nettles: Each should have a short, tender stem, look bright green, and have four tender leaves. Alert: Wear gloves during all stages of handling: harvesting, washing, and, preparation until disarmed after cooking.